Students studying communication or public relations are all united by one common factor: competition. With the growth of academic programs at various universities in the field, it isn’t uncommon to run into another student with the same major. These students usually go after the same internships, and eventually will send resumes off to the same jobs. This competition requires that students do something to set themselves apart. After a while, resumes and cover letters of different students all begin to look the same. It is extremely important to do something that shows what makes you a better candidate than your peers. Blogging is a great way to do this. It allows you to gain writing experience, to learn how to curate content, and is a public display of who you are as a person. How much time can you dedicate to blogging? Blogging can be extremely time consuming whether you do it as a hobby or have made a small business from it. You need time to generate content, format posts, take photos, and respond to comments and emails. Take this into consideration with the time you already dedicate to class, work, and extracurricular activities. Develop an organization system. Keeping up with your blog is the key to gaining and expanding your readership. Get a planner that you dedicate to blogging and make an editorial calendar for each month. Be realistic with yourself; if you know you can’t post every day, then don’t place that expectation on yourself. Brand your blog consistently. Your blog should be treated as one of your clients. If you use Twitter or Facebook to promote your blog, be sure that those profiles are consistent with the content and design of your blog. 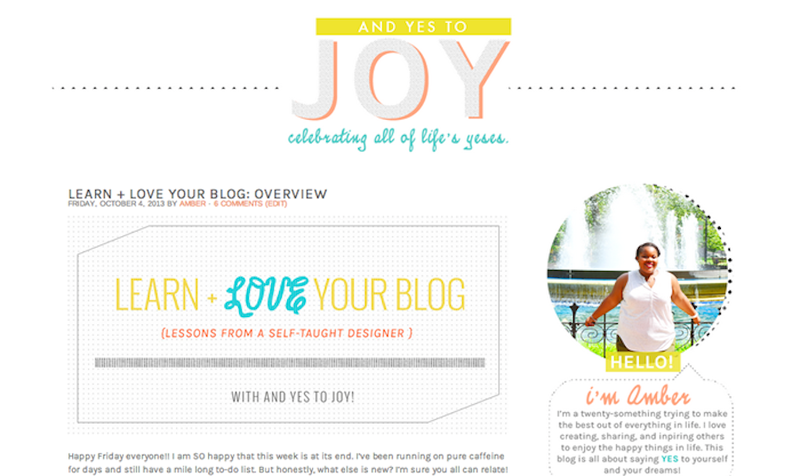 Make the cover photo of your blog’s Facebook and Twitter match the header image, and keep the colors the same. This will create a sense of familiarity among your readers. Create original content. No one wants to read your blog only to get information that can be found elsewhere. It is important to always be creating fresh content, not just sharing or reposting. Adding your own input and life situations helps readers create a more personal relationship with you and your blog. Posting about topics you truly have a passion for is the best way to insure quality content. Though it may seem overwhelming at first, blogging is the easiest way to promote yourself as a professional while still having fun. Don’t get lost in the feeling that your blog has to look or sound a certain way. Allow your unique voice to come through, and the rest will settle on its own. This is a guest post written by Amber Burns. Amber is a junior at Temple University majoring in Strategic Communication with a concentration in public relations and minoring in Spanish. She serves as one of the Assistant Firm Directors for PRowl Public Relations. She also serves as the Vice President for Temple University’s PRSSA chapter. This summer she interned for Philadelphia’s Independence Seaport Museum as their PR and Marketing Intern. Amber also runs a personal lifestyle blog called, And Yes To Joy, where she blogs about college, goal setting, and life tips. This entry was posted in College Relations, Tips & Advice and tagged Blog, Blogger, Blogging, College, Communications, Guest Post, PR, Public Relations, Students, Young Professionals by pprablog. Bookmark the permalink.